means understanding how the hotel thinks. 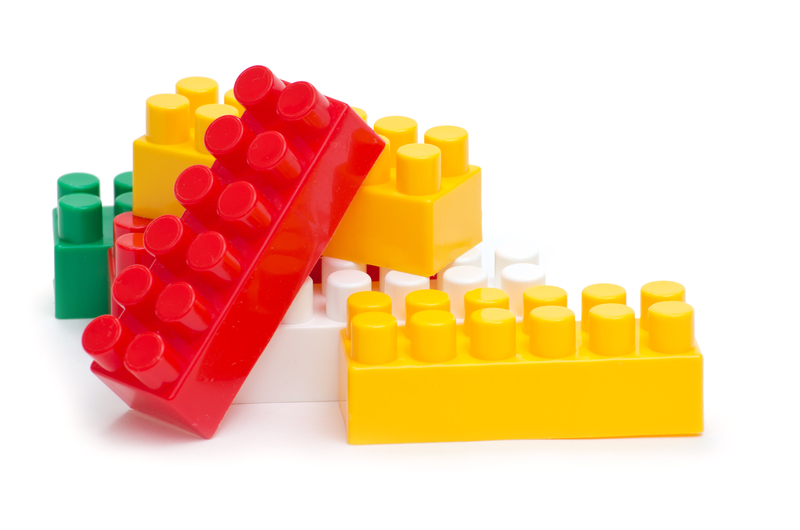 This is the second of three blog posts on managing your room block. Click here to read the first post about how hotels manage your block and the concept of “Blind Cuts." Here are the three key points to keep in mind when negotiating the allowable attrition clause in the contract: Timeframe, percentage, and penalty. Properly setting up the attrition clause in your contracts can save your company thousands if you ever find yourself in a situation where your block isn’t picking up as planned. From Contract signing to 90 days out: You can adjust your room block by 10%. From 89 days to 60 days out: You can adjust your block by 5%. From 59 days to 30 days out: You can adjust your block by 5%. Inside 30 days there will no allowable reduction in your room block. Negotiating the Stair-step method: The challenge with this method is that you are being asked to make a decision on your block further out – when it’s likely you won’t have the necessary data to make an accurate decision. Another problem is it requires you to remember each date, which if you’re at all like me, requires triple reminders. Minimize the steps: Your goal here is to remove as many steps as possible, starting with the steps that are furthest out. Looking at the example above, try to get all steps combined so that you can drop 20% up to 30 days out. Make the largest reduction as close to arrival as possible: The example above sets the largest reduction as the earliest decision. That’s great for the hotel but not so great for you. Work to reverse that so you can reduce the highest percentage when you have the most information about how your block is picking up. Hotel is relying on, and Group agrees to provide, a minimum of 320 guest room-nights. Should the Group fall below this amount, the Group will be responsible for the difference between the minimum guest room nights and actualized guest room nights multiplied by the single convention guest room rate multiplied by 80% (guest room minimum minus guest rooms actualized multiplied by single convention room rate multiplied by 80%), plus any applicable taxes. Negotiating the Cumulative method: Here are two tips for getting the most out of the hotel when you are negotiating this type of clause. Pre- and post-event rooms: In this method, every room night counts. Be very careful about how many rooms you block before and after the meeting. Depending on your situation, you may or may not want your pre/post rooms in the calculation. Discounted rooms: Make sure that all rooms count toward your pickup. Oftentimes, hotels will remove the discounted rooms from the calculation. Insist that all rooms apply. The percentage refers to the amount of your contracted block the hotel will allow you to reduce without penalty. The typical attrition allowance ranges from 15% to 20%. Negotiating the Percentage: Pushing for any more than the typical range can be a challenge, as it sends the message that you don’t have confidence in making your block. 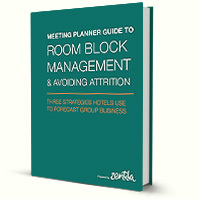 Hotels may ask you to reduce your contracted block: “If you’re only looking to commit to 75 rooms [from 100 rooms contracted], then let’s bring down the contracted block.” That said, it’s not impossible, especially if your meeting isn’t happening during peak season. Add a step: If you can manage it, add a step at 60 days and ask for the opportunity to reduce by the extra amount then. The more time you give hotels to react to reductions, the more likely they’ll allow it. Agree to reduce space accordingly: For hotels, it’s all about time and space – meeting space that it. If you need more attrition, agree to give up space at an agreed-upon number of days prior to the event if you find you need to reduce your room block. Be specific on what space you’re willing to give up and when. Hey wait, I know my block is going to pick up! Oh, now you’re talking. Too many times planners don’t leverage this for their benefit. If you know for sure that you’re going to fill your room block, then use this to get some extra stuff. If the hotel offers you 20% attrition, and you know you don’t need it, suggest 10% in exchange for two extra suite upgrades or a room rate reduction. Negotiating the penalty clause: Typically hotels will ask for payment equal to the number of rooms in attritition damages, times the room rate. Strategies to mitigate this rely on leveraging your total meeting spend and knowing a little about hotel profit centers. Base the calculation on rooms profit: Instead calculating the damages on the whole room rate, ask for the calculation to be based on profit. Typical rooms profit is 80%, so start there. Attrition is a naturally occurring phenomenon in the meetings industry. Block performance is critical to your ability to secure hotels in the future. Laying out your strategy in the contract will ensure you protect your company against unbudgeted expenses, and also against creating a historical fingerprint on your meeting which may hinder your ability to secure hotels next time. In the next post, I’ll cover the final subject – Cut-off dates. This single date can impact the success of your meeting more than any other date in the contract. Download today and keep this valuable resource at your fingertips for your next meeting request.